Abbotsford Cortez Slabs – Creative Bricks 'n Blocks Ltd.
Click on picture below for more info. Available in Charcoal and Natural only at this time. 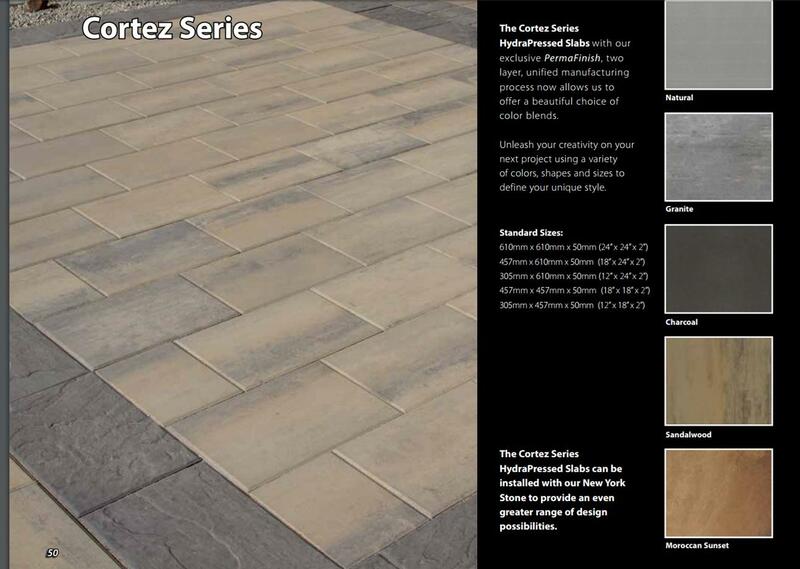 Abbotsford Concrete Cortez Series HydrPressed Concrete Slabs.